Congratulations to Kathryn Garcia, the winner of the FIRST $100 TpT Gift Certificate. Congratulations to Nikki Heiman, the winner of the SECOND $100 TpT Gift Certificate. 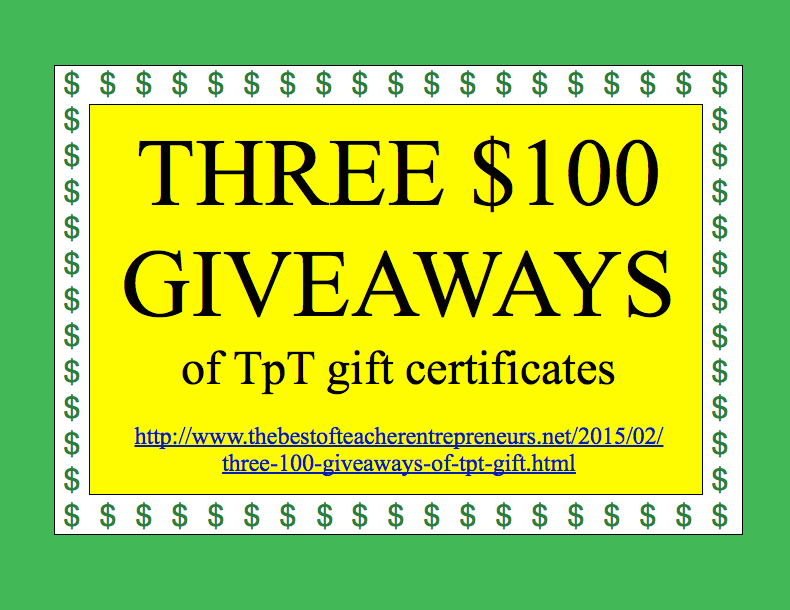 Congratulations to Susan Mescall, the winner of the THIRD $100 TpT Gift Certificate. THOUSANDS OF PAGE VIEWS for your TpT products. Excellent, Vicky, just excellent. Reading your writing and encouraging words makes me keenly aware that The Sun Never Sets on Teachers! We are always thinking, planning, problem-solving, innovating and inventing, all in the united effort to reach and teach our wonderful students and our own children. Thank you, Vicky! I love you Vicky! Like for real!